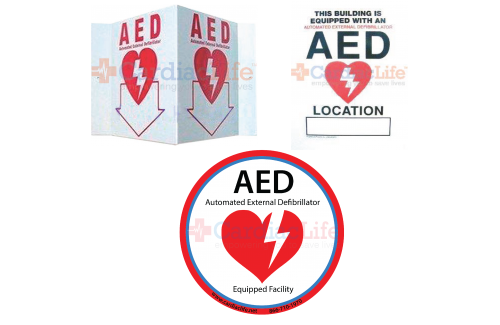 The Automated External Defibrillator (AED) wall signs and AED decal sticker in this AED package will help first responders locate your defibrillator. 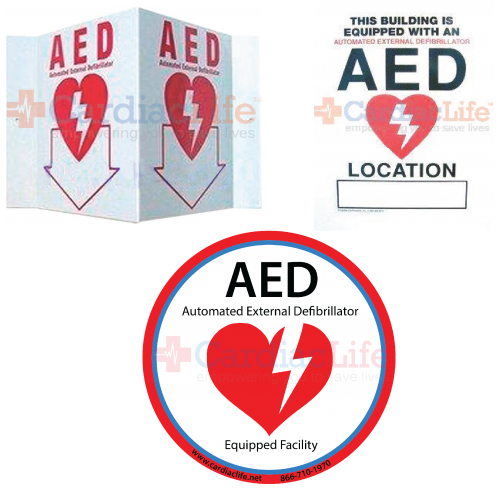 In the event of Sudden Cardiac Arrest being quick and efficient in locating an AED is crucial for survival. First Aid Safety Vinyl Sign -4"x4"